Experience the joy and warmth of Shabbat and Yom Tov with Hillel of Rockland! Not to mention the delicious homemade food! The ﻿Shabbat Unity Dinners﻿ on campus attract students, faculty, alumni and family members for unforgettable evenings of song, stories and fun. 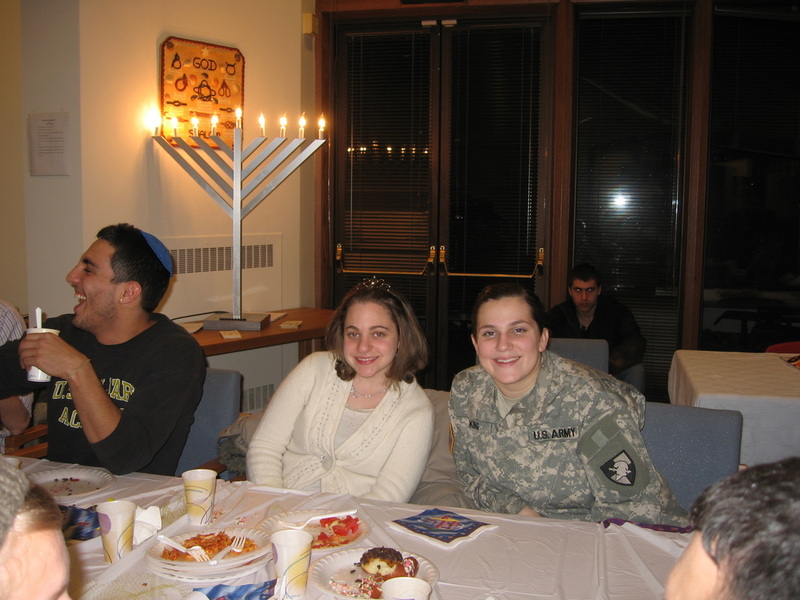 You can also enjoy Shabbat meals hosted at various homes throughout Rockland. Hillel organizes trips to other college campuses for regional Shabbatons, including New Paltz, Oneonta and Binghamton, as well as to the annual National Collegiate Shabbaton in Brooklyn, NY, which attracts over 1,000 students from across the country. On Chanukah the campus lights up with menorah distribution and a fantastic concert. Recent performers include 8th Day, Bulletproof Stockings and Lipa. Purim parties on and off campus feature masquerade contests and megillah readings. On Pesach, Hillel offers home placement for students seeking a seder, where they experience a wonderful and meaningful family seder with all the holiday delicacies. The annual Lag B’Omer bonfire and barbecue is everyone’s favorite way to end the semester.